Promo Fun with Re-usable To-Go Cups! 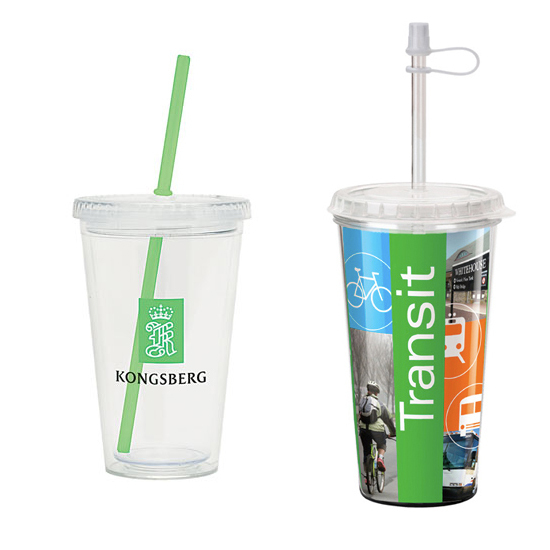 Whether your clients have to travel often or just like to have a cold drink on hand, promotional to-go cups make a great advertising gift. The “to go” design of these tumblers make them very attractive; if you see one, you want one. Plus, our screen printed tumblers will get your logo recognized. They will be carried around from place to place leaving an impression where ever they go! You can find BPA free tumblers and a variety of colors. They are great for awareness, schools, fundraisers, parties, restaurants, trade shows and so much more. admin August 14, 2012 Comments Off on Promo Fun with Re-usable To-Go Cups!